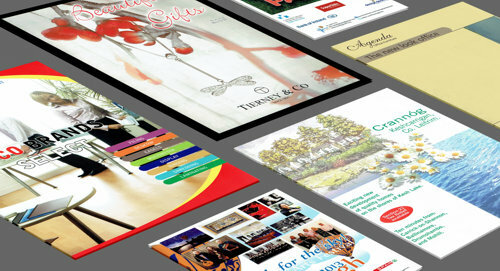 Design Desk have designed and developed a wide variety of websites for our clients over the years. From simple brochure sites for small businesses to large e-commerce sites for wholesalers and retailers. E-commerce, Business websites, Search Engine Optimisation, Online Advertising. If you are just starting a new website, check our our offer of a complete website for only €750. Despite the fact that we are in a digital age we still need printed material to get information to people, package products and communicate with our market. Video delivers pictures and words. If a picture is worth a thousand words, a video is worth millions. Video engages your audience immediately, gets them involved, interested, excited, educated and wanting more. Design Desk will present your message and story in a visually compelling way supported by demonstrations, testimonials, and interviews. Design Desk have been in business since 1984 creating high standards of design and marketing material for our clients who range from large companies to small one man businesses. When Design Desk commenced business, MTV began televising music videos, the DeLorean sports car was being built in Belfast and the first mobile phones were being marketed. As the world changes Design Desk adapts to find what works best for our clients. In pursuing this goal we have adapted or design skills to websites and digital media. We are producing videos to ensure our clients have the same top quality work in this area too. We see ourselves as your design, web or video partner. We are here to help you get your message, products and / or services to your audience. 9 Churchtwon Avenue, Dublin 14, D14 CC04, Ireland.